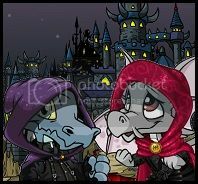 Over the years, the Neopet’s staff has released a lot of Neoboard Smilies. We have seen an incredible transition from the typical smile or wink, to angry coconuts. Neopets has truly set the bar high for all of the internet; they have produced some epic new age Smilies. Not only has the quality of these Smilies been on the rise, but so has the popularity of them. Now there is a lot of debate over what Smiley is the best. The ranking of this article has been determined by the frequency I’ve seen each Smiley used on the public forum combined with my own personal ranking of each. There was a clear top three, but afterward things got hazy. In a perfect world the Smilies’ rank would be determined by a March Madness type bracket, but unfortunately, the Meepits demanded I create this article immediately and vetoed my plans. 10. The *cough* Smiley barely slid into the top ten. However, this cough is perfect for correcting people on the boards and sassing friends. If you’re the type of person who likes to point out a spelling error or a grammar mistake, consider putting *cough* before your correction. It’s also a subtle way to call out your friends out. Write down whatever you’re calling your friend out for, but be sure to include “*cough* friend’s name *cough*” before you submit your post! 9. The *rednose* Smiley ranks number nine on this list. You are probably wondering why the heck a red circle made the list. Well, it’s simple. It’s an attention grabber. You put a few of these on a board title and you’re gonna draw in a crowd. Obviously, the content of your board has to be interesting enough to keep the people there, but the rednose will provide you with an audience of some sort to begin with. Maybe you are a guild leader and you are trying to convey an important announcement. Slap some red nose’s onto your post and you are good to go. 8. The *mistletoe* Smiley comes in at eight on our list. This is a popular Smiley to use when trying to create an aesthetically pleasing title. Though most popular around the holiday season, this Smiley never really goes out of style. Anybody who has ever created a top tier board title has used the mistletoe Smiley. This may be one of the most practical Smilies Neopets has to offer. Step one: stare into its face for second and look at the pride and swagger this wocky has. Step two: close your eyes and envision yourself as the wocky. Step three: you should now feel as fabulous as wocky and are eligible to use this Smiley. 6. This is one of the most popular Smilies on the Neoboards. The adorable :* face. No other Smiley comes close to how cute it is. Not only is it cute, it has multiple purposes. Greeting a friend or acquaintance? Slap on the blushing Smiley at the end of your post. Complimenting some’s BC entry or wishing them luck? Throw in this Smiley before you hit submit. You really cannot go wrong when using this Smiley, it works in many situations. 5. This Smiley is a personal favorite of mine and frequently used in my guild. The classic *tombstone* Smiley. While a lot of people are under the impression that is should be used during Halloween, this Smiley is functional year-round. Did you post something embarrassing and now you’re slightly ashamed? Add a tombstone to the end of your post. Dreading having to log off Neo and go to school or work? Add a tombstone. Reliving childhood Neo regrets? Add multiple tombstones to your post because wow you really shouldn’t have converted that pet. 4. I don’t know if there is a happier Smiley than the *slorg* Smiley. Just look at that precious face. You can’t help but smile when you look at this slorg. Rumor has it he may even look like a celebrity, but the Meepits have told me I cannot unveil his identity. Just remember to treat yourself. Anyway, this is such a happy Smiley and it should truly replace all :) Smilies across the internet. 3. I don’t know if there is a more aggressive looking Smiley than our number three, *mrcoconut*. There is just so much glorious pent up anger in such a small pixel. This is an extremely expressive Smiley and it pairs nicely when you want to complain about the fact that the Snowager has blasted you for the hundredth time, but still refuses to give you an avatar. 2. Praise the *Meepit* because they’ve made it to number two. They did not coerce me in any way to write them in as our number two. This is truly a beautiful Smiley, just as the Meepits are beautiful creatures. This Meepit Smiley pairs well with the best avatar, Meepit juice break. In all honesty, this is a very underused Smiley and you should all be using it on a daily basis. 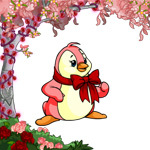 In fact, one might argue that the Meepit Smiley should make every other petpet Smiley obsolete. Some might say this is a controversial list. That I should have included the violin Smiley and taken out rednose. Others might say that the wocky Smiley needs to be higher in the rankings. However, I believe that we can all agree on the number one Neo Smiley, the *quiggle*. Move over internet memes because this Quiggle is coming for you. He pairs nicely with *coffee* and works well with sarcastic comments. More importantly, he is simply the funniest Smiley around. Though the Quiggle might be an unpopular pet, it is by far the most popular Smiley.